Allen Business Machine’s primary focus is on maximizing our clients’ productivity. We help people get more work done in less time, allowing them to increase customer satisfaction and their own profitability. Thanks to our strong partnership with Sharp, ABM can provide you with a wide assortment of multifunction printers and other first-rate equipment. Our available hardware will enable you to work harder and smarter, thereby positioning your business for greater success. 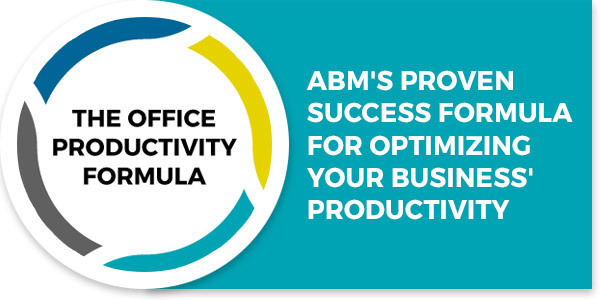 Hardware is only one part of ABM’s Productivity Formula. We also offer Managed Print Services to help you get the most from your printing equipment. You can cut expenses and waste while increasing efficiency. Go to our Managed Print Services page to learn more.